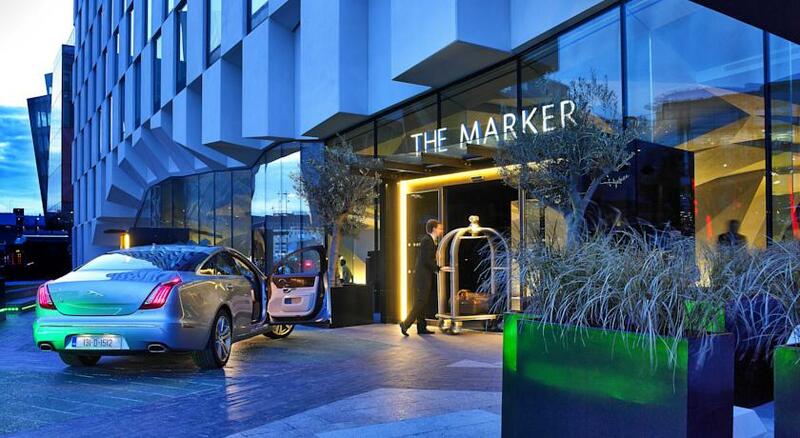 The Marker Hotel Dublin is the most modern 5 star hotel Dublin city has on offer. The stunning architecture creates an outstanding building suited to the provision of luxury accommodation in Dublin City Centre. It is located in Dublin Docklands close to many of the financial centres and the 3 Arena. 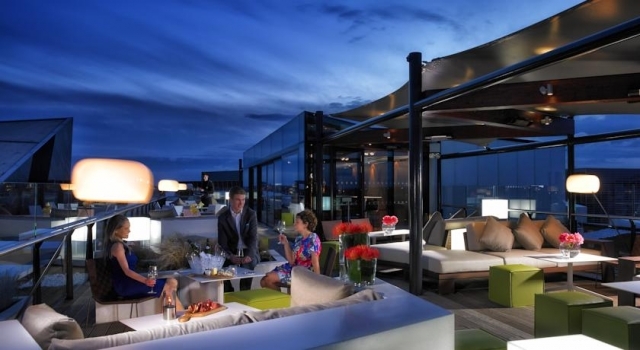 This luxury hotel gets the highest customer rating of all hotels in Dublin. The standard of accommodation and service is unequalled in Dublin. The hotel has a luxury Spa with many treatments and a fully equipped Gym. 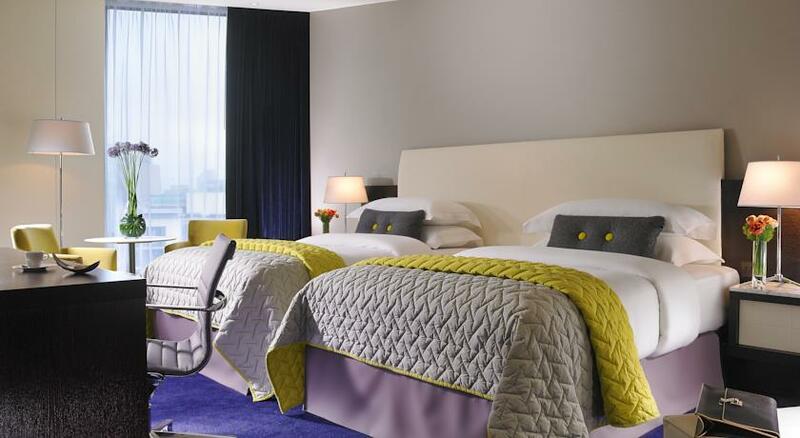 The Marker Hotel Dublin has a total of 187 guest rooms which leave nothing out in terms of comfort and luxury. There is a variety of rooms at the Marker including Superior King, Superior Twin, Deluxe King. All rooms are ensuite and have King size and Twin size beds with luxury bedding. Some of the rooms have bird’s eye view of Grand Canal Square and the city. Free fast WiFi, 32″ TV, an entertainment system, a minibar, air conditioning, phone charger and tea/coffee making facilities are among the in-room amenities. 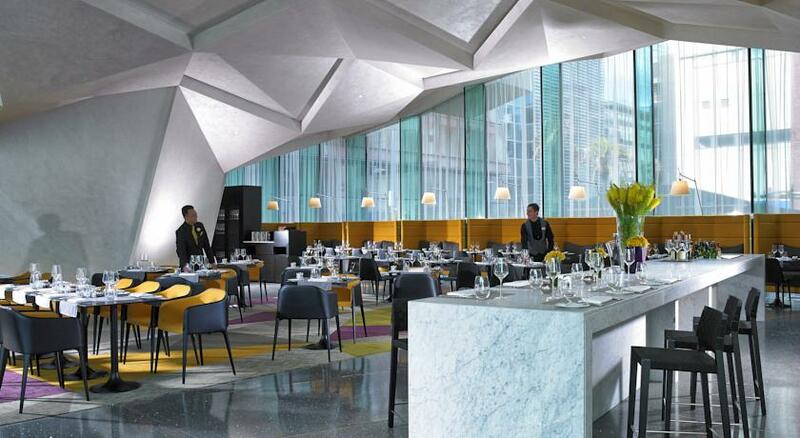 There are quite a few dining options at The Marker. The Brasserie on Grand Canal Square specializes in cooking the best of Irish ingredients perfectly. The Rooftop Bar and Terrace the outdoor option offering great views of the city. Availability is subject to weather and it is sometimes opent to private parties only. The Marker Bar is the hotel’s laid back area to enjoy a drink or sample some of the light meals including seasonal soups, gourmet sandwiches, Irish Farmhouse cheeses and much more. 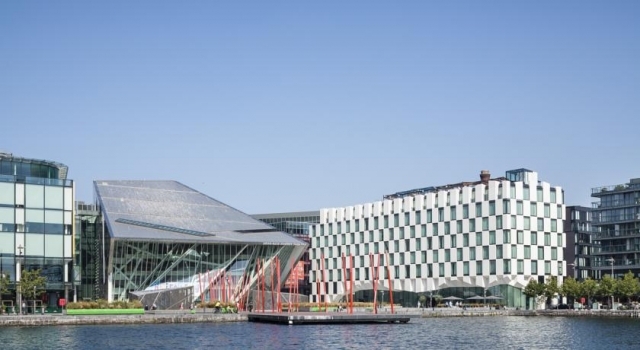 Close by are the Bord Gais Energy Theatre, The International Financial Services Centre, The 3Arena and The Jeanie Johnston Famine Ship Museum.